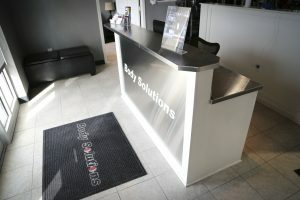 Body Solutions is Overland Park’s premiere private fitness facility. Work out with one of our fitness professionals or on your own. At Body Solutions, we are dedicated to helping you change and take control of your body. Click here for a virtual tour of our facility! Body Solutions is conveniently located at 135th & Antioch in south Overland Park, directly in front of the Palazzo Theaters, next door to Mr. Gyros Greek Food and Pastry. Just a block away from highway 69, we are only a few minutes away from nearly any neighborhood in Overland Park. 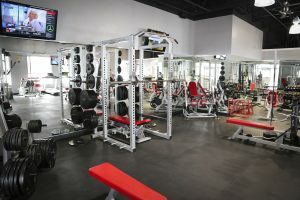 We are a high-end, private, and spotlessly clean facility with the best trainers and 2,600 square feet of the latest equipment. No lines, no hassles, just great results. There are no contracts. All memberships are month to month and include key card access to a private and professional facility. No long lines, no hassles, no sales pitches. Just a great place to work out either with a trainer or on your own. Access membership is for unlimited use via keycard access seven days a week, 365 days a year. The cost is just $69 a month. Have questions on which plan is right for you or need a free consult to get started? Contact Body Solutions today to get started with your free consultation and find out how we can best help you reach your goals. Complete and personalized attention from a Body Solutions Personal Trainer is the fastest way to achieve your goals. Your trainer’s sole mission is to get you to your goal as quickly and safely as possible. You’ll be successful by learning about about proper nutrition and exercise form along the way. Some of the senior Body Solutions trainers are also Nutrition Coaching specialists. There are very few in the area. Not only does Body Solutions have the most on staff but we also have the most experienced in town. This advanced training allows your trainer to formulate the optimal supplement, nutrition and training plan to naturally assist your hormones. Personal training rates: $50 per half hour, $100 per hour. Your metabolism, combined with your daily physical activity, determines how many calories your body burns each day. Stop guessing and start measuring. Some equations can be off by as much as 40%! Many factors influence your metabolism, making it unique to you. These include weight; age; gender, body composition (the ratio of muscle vs. fat); hormone levels and gender. In this example, two women weigh exactly the same and are the same height, yet have very different daily calorie requirements. If these two women followed the same plan they would get very different results. Why do metabolism-based programs work? An accurate daily calorie target provides the single best piece of information available to lose weight. It allows you to set an achievable goal to keep you motivated and focused. It is also an accurate tool for those trying to gain lean tissue and minimizing any body fat gain. Your metabolism determines how much you need to eat and exercise to reach your goals. You can customize any plan to be more effective when it is based on your body’s unique characteristics. Your metabolism changes as you lose weight. Re-measurement during weight loss allows you to avoid weight loss plateaus by altering your nutrition and exercise plan to reflect changes in your body. What do I do with the measurement once I have it? During your appointment you will receive a print out of your results stating exactly what your metabolic rate is combined with lifestyle and activity factors. 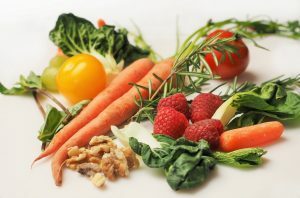 Then you will know the exact amount you need to eat to lose, gain or maintain your weight. 1) Use this information on your own to set up a menu and start your own plan. Click here for your sample printout. 2) Work with us at Body Solutions on an exercise or nutrition program tailored to your goals. 3) Use this and combine it with a Nutrition Coaching analysis and have a complete calorie and hormonal map of your body. Either way you will have accurate information to help you make the next move towards your goals. Please see detailed instructions for detailed instructions here for the day of your test. Contact us now to schedule your test. In the subject line add “schedule RMR test ” and what option you would like. * Let us know which test you would like and we will be in contact within 24 hours to schedule. What if you could quickly and naturally delve deep into your hormonal and biochemical make up and formulate a rapid response to anything that could be holding your body back from achieving its full potential. What if you could identify exactly why you feel so listless in the afternoon or why when you diet and exercise you never see the results you hoped for. What if you too could assess the health of your thyroid, reproductive system, and your tolerance to the stress and toxicity of a busy life without resorting to invasive, time consuming and hideously expensive blood tests and medication? Our Nutrition Coaching program is based on the theory that where people store body fat is an indication of their hormonal profile. A midsection that is fat in relation to the rest of the body is indicator of stress. The problem is if stress is left untreated your body shape will be the last thing on your mind as stress is a killer. The good news is once identified, it can be corrected naturally. Your bodyfat levels and corresponding hormonal imbalances can be improved and managed through a combination of diet, exercise, a targeted supplementation program and lifestyle modifications. 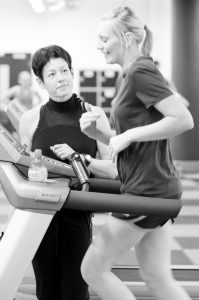 Our Nutrition Coaching certified assessors will develop a plan based on your unique bio signature. 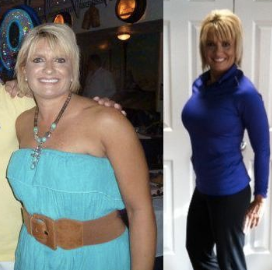 Proper Nutrition Coaching is the closest thing to real spot reduction. Fat is either a toxin or inflammation, reduce the toxin and the fat will go away, lower the inflammation at the fat will be reduced. Each person’s problem is different and once identified the body is primed to be healthy and lean. How Long Does a Nutrition Coaching Assessment Take? The initial assessment can take anywhere from 45 to 90 minutes. Your practitioner then takes time to analyze the results and research the best plan to target you getting optimal results and re-balance your hormones. Our job is to INTERPRET the data and map out a plan to implement in your daily life. By doing this you are trying to correct your body naturally without expensive and dangerous pharmaceutical drugs you will have to be on the rest of your life that can cause other issues and don’t always work. We leave nothing to chance in your program and we will recommend protocols that can modulate your readings back to their optimal levels and losing fat. That will depend on many factors that range from the type and duration of your hormone imbalance, activity level, current stress & sleeping patterns and your compliance. In our experience and the feedback we have measured, 99% of our clients see results within the first two weeks and sometimes in as little as a few days. After the initial meeting you will meet each week with your Practitioner for 30 minutes for a remeasure and assessment of your current state. At that point your practitioner will either continue the weekly plan as needed or change giving you new guidance for that week.